My cat Lilo is known for her royal behavior and it can be so difficult finding the best ﻿﻿﻿food﻿﻿﻿ for her. There are so many options, and I’m left with constant questions on health, ingredients, and flavor. I just want her to be healthy and over the years, we have tried many different brands. Today, I'm sharing my Soulistic Cat Food Review as I have been asked a few times from readers. Who Makes Soulistic Cat Food? You have to admit that the slogan “feed your cat’s soul” really speaks to the cat owner seeking to give their cat the best possible ingredients. Soulistic is an exclusive Petco brand and they cater to cats in all life stages. I also like that their food is made in USDA-approved facilities. Their grain-free cat foods are perfect for kitties with stomach issues and include large amounts of natural ingredients. Seafood is the most common, but if your cat is a chicken guy or gal, you have lots of options to choose from. Kittens and older pets are especially helped by the soft texture of the pouches and wet food. They also feature whole cuts of meat eg. free range chicken breast, wild caught fish. The ingredients are easily identifiable which is always a good sign. Soulistic Cat Food, unlike other products out there, does not need to be special ordered online. Unless you live much too far from your nearest Costco, you can just pick up a bag with ease! Amazon will ship them too of course, and you’ll be able to get extraordinarily cheap cans or delicious pouches with ease. The company itself is based in Massachusetts and not overseas either. Freshness is a guarantee. There are unfortunately cats who find that they can barely eat anything. They’ll throw up anything you give them or will display other forms of intestinal distress. Pumpkin can be a lifesaver for these kitties, and since it comes in specific pouches, it’s easy to give your cat the right amount every time. Includes healthy, natural fish and pumpkin. Comes in small and simple pouches that can be fed to your cat on the run. Great for older cats who have a hard time with digestion. Sick cats can regain their weight easily. It’s soupier, so it’s good for cats that need more water in their diet. There’s a lot of fish in this product, so it’s not recommended to feed your cat this food every day. Some cats might not like the watery texture. When talking about ingredients, less is usually more when it comes to cat food. Well here, there are only three main ingredients: water for processing, tuna, and pumpkin. That’s it! This food is composed mostly of fish within the pumpkin, with the water mainly added for texture. Nutrients are added as well to round out your cat’s diet. Once again in little convenient pouches, this Soulistic cat food will mix up your cat’s diet with three different types of proteins. Many cats will not eat other types of wet food, but so many people talk about their cat just gobbling these pouches up! 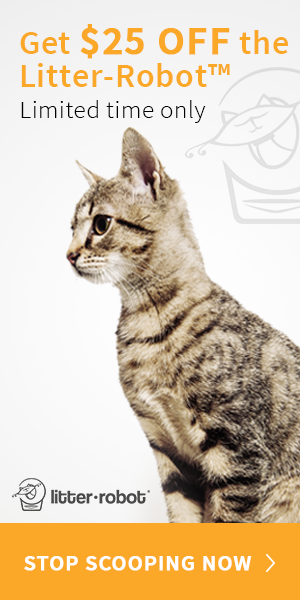 With all natural ingredients, you just might find your cat running around with more energy and a shinier coat. It includes natural ingredients with lots of water and minerals. Lots of different flavors are available for cats who get easily bored. The meats are very high quality, and despite the water, the food smells fresh and good when opened. There is a lot of fish in these, so don't feed this to your cat every day. Older cats have trouble chewing the chicken. Like any good cat food, the first three ingredients are exactly what’s stated on the package: chicken, salmon, and tuna. Of course there’s water for processing since they’re in pouches, but this is why cats needing water love these small servings. Vitamins and minerals are aplenty in this food. For your cat’s health in the long run, these ingredients are a must. Many customers love this food and say that it’s the only wet food that their cats will even touch. I myself can vouch for the fact that my Lilo loves Soulistic - the cat won't rest until the bowl is fully licked dry. People often comment on the multitude of flavors along with their preference for the natural ingredients as well. There aren’t too many problems with these foods, although the main issues come down to price and the amount of fish. Overall, as cat owners know, it’s not good to give your cats too much fish. Upon buying then, most people mix it with other brands of dry food or wet foods to give their cat more variety. It can sometimes feel like rocket science to feed your cat healthy and delicious foods, but the Soulistic brand is a good option. Its food has helped my cat eat with ease, and put to rest my questions about health, taste, and nutrition. I have to agree with everyone else… Our cats are picky pain in the a#& eaters and typically only like garbage food. This is the only brand that’s of an almost reasonable price that our cats love. So far never had a bad experience with it and digestion and we have 5 cats that all approve. My two cats are not at all picky eaters but their preference for Soulistic is extremely evident! Another one they really go for is Halo chicken and quail recipe which I use to keep away from too much fish since I’ve only found 3 Soulistic varieties without it. Is Soulistic safe to give to cats with crystals? I have been feeding Royal Canin, but looking for a food with more variety. Regardless of the name on the can, many Soulistic wet cat foods have tuna as first or second ingredient. Near as I can tell Soulistic only really has 6 products that don’t have Tuna: Autumn Bounty, Aromatic Chicken, Good Karma pouches & cans, Harvest Sunrise and Chicken Pate and Shreds. All the rest have Tuna as First or Second ingredient, but we have to read the fine print to find out. The good news is most Soulistic cat foods are very high in protein, low in fat and very low in carbs which is best for most cats. Aromatic Chicken is the best with over 70% protein, less than 30% fat, and 1% carbs and no tuna. Hard to beat.